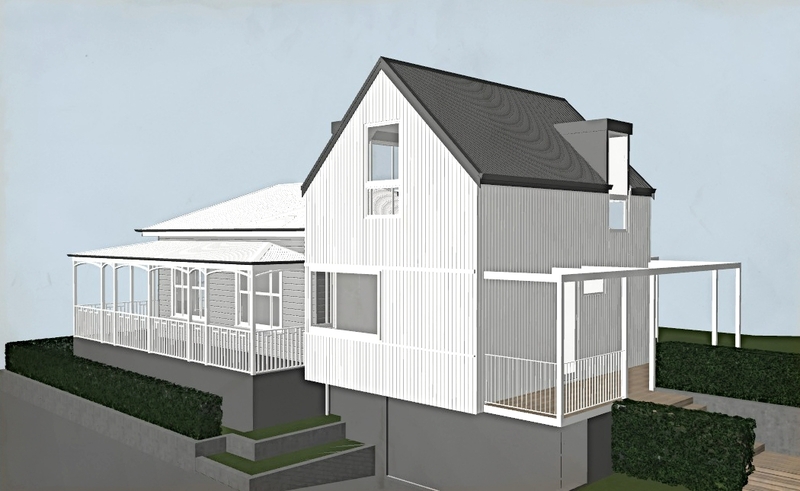 This old, dilapidated villa is being given a facelift and a contemporary extension, to create a four bedroom, two living area family home on a prominent St Mary's Bay corner. 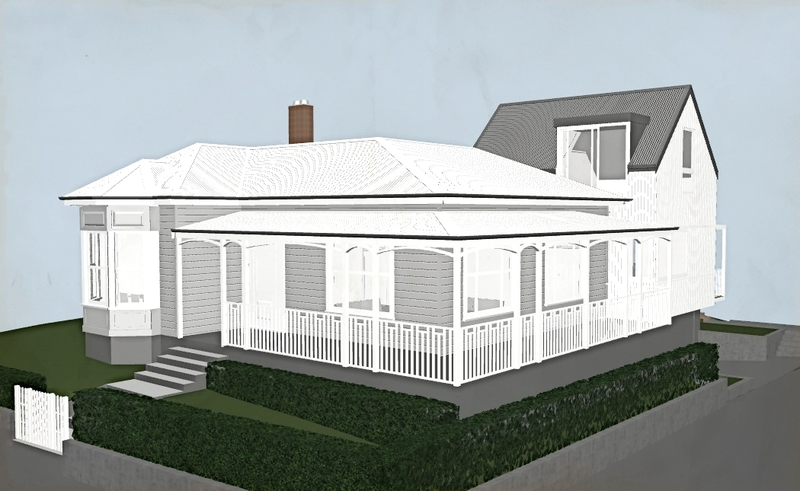 The villa is a beautiful example of its type, so an extensive refurbishment of the villa, including a big new verandah wrapped around both sides, and a new, vertical weatherboard clad, pitch roofed rear extension will really bring it into the 21st century. The extension has been thoughtfully designed to complement the villa and surrounding streetscape while making a contemporary architectural statement. Views to the harbour bridge will be captured from the top floor.